The Roland SP555 in the latest in the SP series from Roland it includes new updated features like Loop Capture, and Super Filter. We got the SP555 in Decemeber 2009 and put it to the test we sampled some cd's and records and used all the new features and now we know just what it can and can't. This DVD covers everything you need to know teaching you how to sample, edit samples, trim samples to the right size, add effects, place them in a sequence, set the tempo (BPM) for your samples, how to put sequences into a song, save all your data to a compact flash card, how to load your files back on your SP555 and the best way to use the SP555. We cover setup using midi cables, use 2 1/4" audio cables, one power cable, etc. Just follow along with this step by step lesson plan and you can't go wrong. 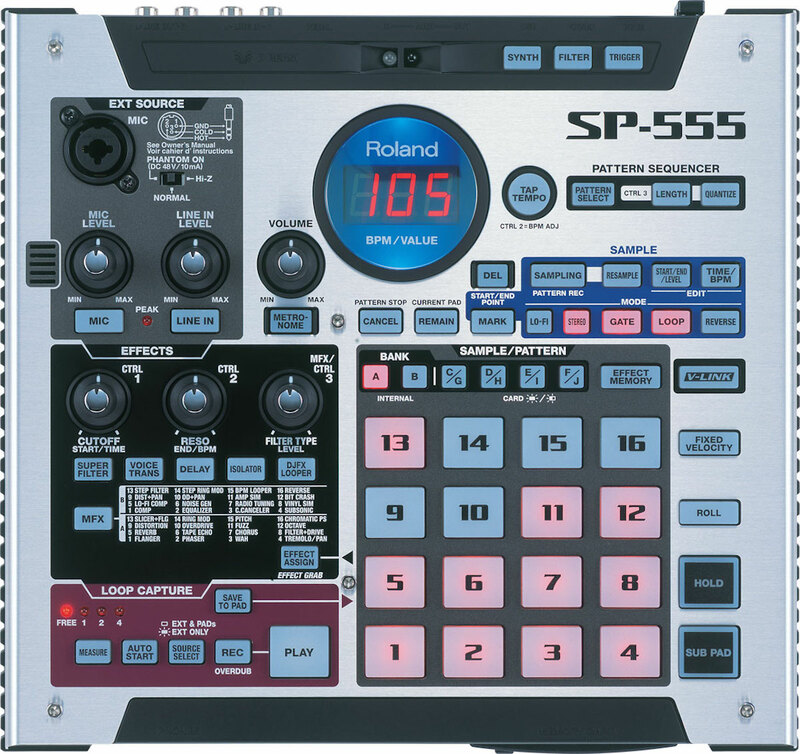 We cover it all to make it easy for you to learn the best way to use the Roland SP555. JOIN NOW & LEARN HOW DIFFERENT TYPES OF MICS WORK. LEARN HOW EVERYTHING WORKS IN LOGIC PRO X. LEARN HOW TO ROCK YOUR MPC TOUCH FOREVER. LEARN HOW TO WORK THE MASCHINE STUDIO. LEARN HOW TO WORK THE MASCHINE. JOIN NOW & LEARN HOW TO MAKE YOUR STUDIO BOUNCE. LEARN HOW TO WORK YOUR MASCHINE MIKRO. MASTER PRO TOOLS AND WORK IT LIKE A PRO. Watch any of our videos series online, you can view from any device, a computer, a smart phone, a tablet, Apple TV etc., download any of our 80,000 samples, get help from our help desk all for one low price. Covering the best cameras for music video production, how to pick the right lens, Auto focus, F stop, Appeture, ISO, S-Log, video editing, color correcting and much much more. All starting September 1, 2016. SampleKings has been in business making instructional videos since 1992. We take our time to get it right so every video series teaches you the best way to use your hardware or software system for your production whether music or video you will get it right. We even back it up by providing you with our phone number: (718 715 4652) if you need any help.